The NHL Winter Classic has grown into one of the league's most popular and anticipated events of the season. 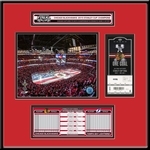 The 2019 game marks the 11th contest and features the Boston Bruins vs Chicago Blackhawks at Notre Dame Stadium. The NHL Winter Classic celebrates the origin and traditions of hockey. 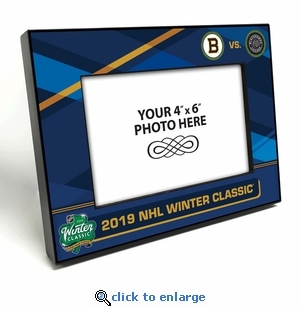 This 4x6 picture frame features Winter Classic graphics on a 1-inch thick wood frame with black edges. It includes a glass photo cover and a hinged easel back for desktop display. Overall size: 6 (H) x 8 (W) x 1 (D). Officially licensed by the NHL. Join our mailing list today and be the first to hear all about our new products, special offers and promotions! 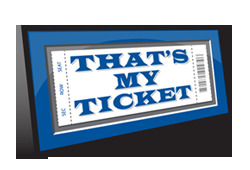 Copyright © 2019 That's My Ticket LLC. All Rights Reserved. MLB, MLBPA, NBHOFM, NHL, NBA & NCAA trademarks & copyrights used with permission of their respective properties.